Hey there, friends! Lydia here. If you’re anything like me, holidays and special occasions always present an exciting challenge in creativity. I come from a large family and buying Christmas presents for everyone is quite a challenge. 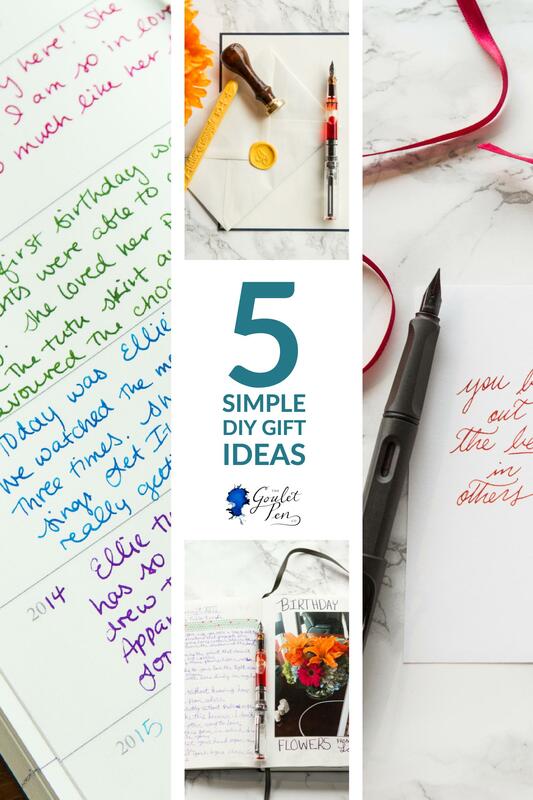 I quickly found that making my own gifts was a much easier way to give everyone a personalized gift that they loved and that I enjoyed making. Here are some fun ideas I am planning to use this year for loved ones that will hopefully inspire you. 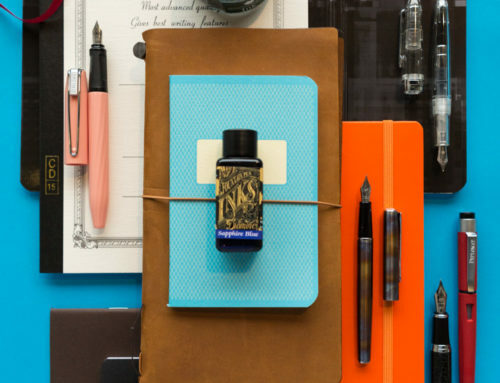 Start by filling the water brush pen with water and dipping it in the complementary background ink color. You will then use this to create the ink wash background for the poem. Be sure not to saturate the page so your writing will show up against it. 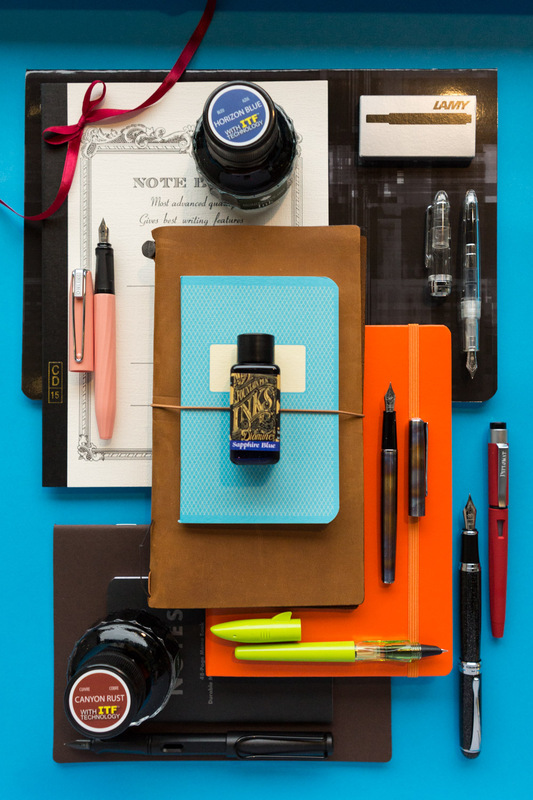 It is best to have a very light background and a dark ink for writing out the words. Leave the ink wash to dry for a few hours at least. 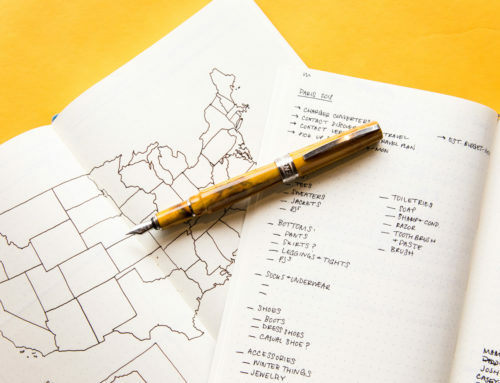 When it’s completely dry, plan out your poem lightly with a pencil to make sure the words are lined up where you want them. 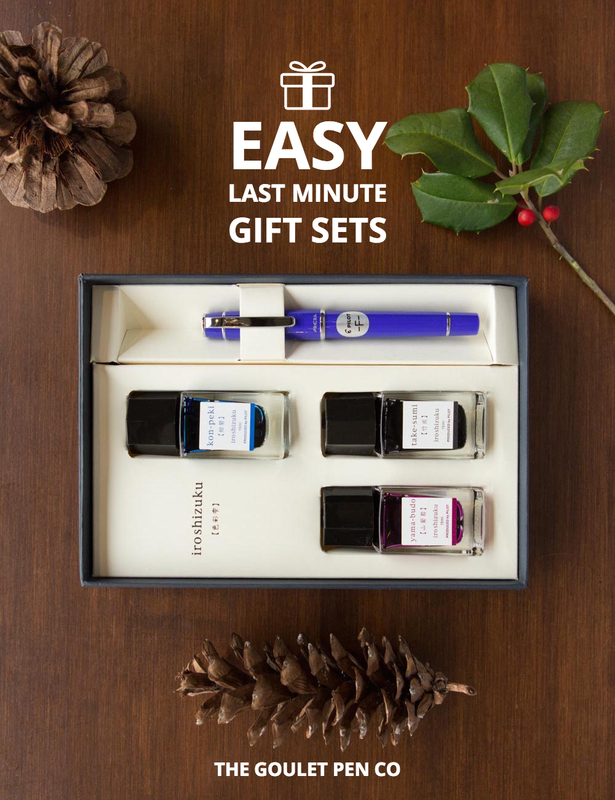 Then you can go over the words with the pen and ink and complete your heartfelt gift. 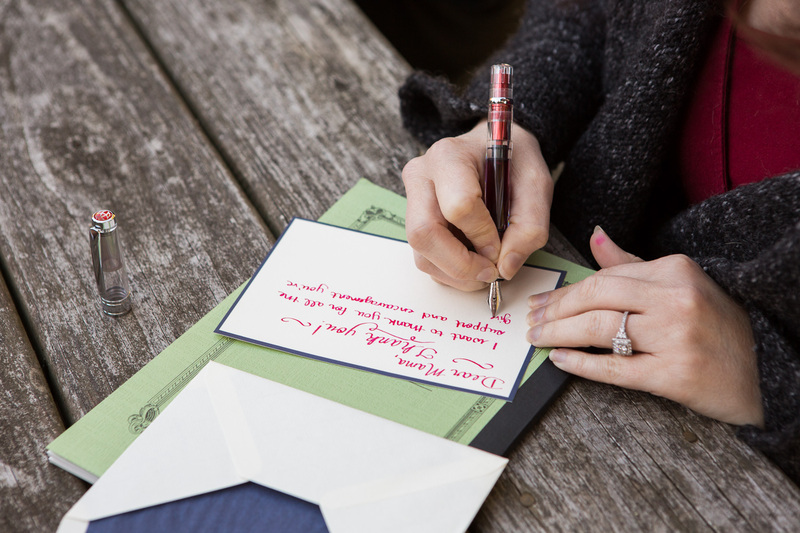 This is a simple way to create a very personalized, cherished gift for a loved one. You could use just about any writing, such as a favorite poem, passage from a book, or song lyrics. With just a few moments from each day, you can create a wonderful and lasting log of memories with your loved one. 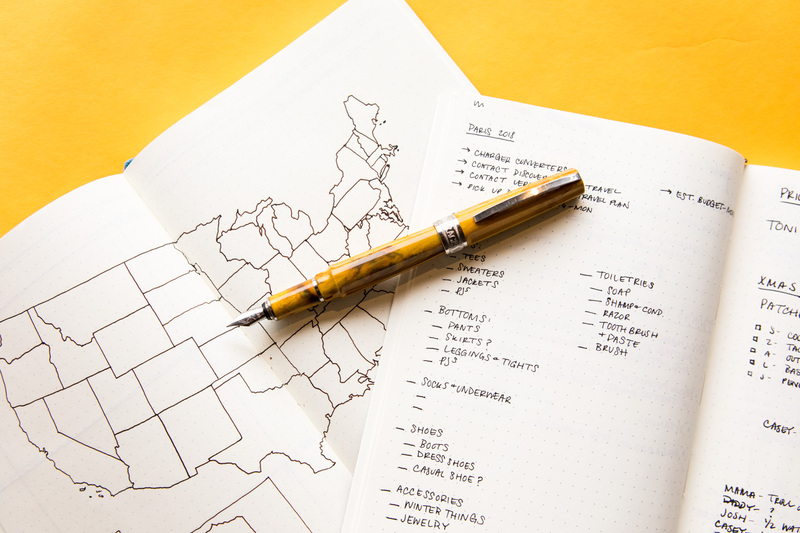 At the end of every day, simply jot down a few lines about the day to remember the highlights. These notebooks are a fantastic way for parents to document 5 years of their childrens’ lives, ideal for newlyweds who want to remember the early years of their marriage, or just for anyone that wants to slow time a bit and remember more from each day that passes. I have been using my Some Lines since my birthday in June and it’s amazing even in that short time what I’ve forgotten and which I can remember from looking back on those pages. 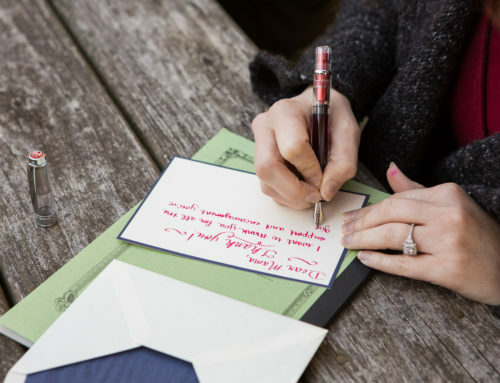 Who doesn’t like to look a little fancy when they send out a letter? 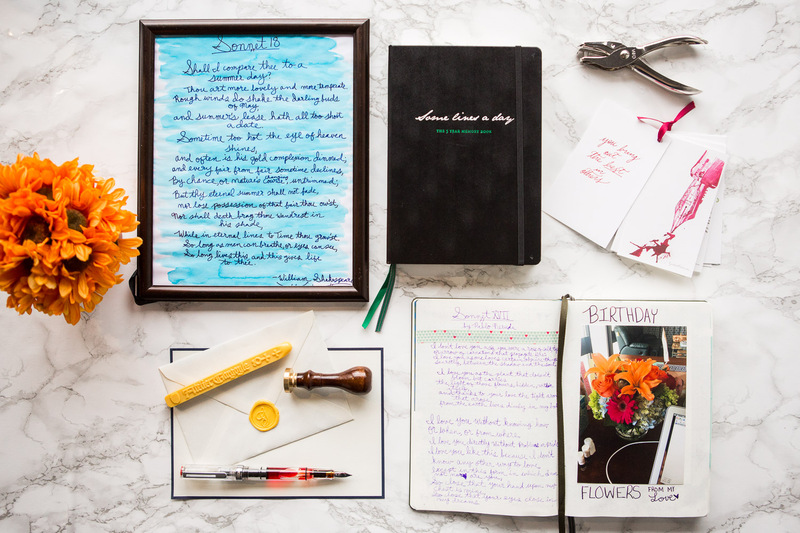 Gift your friend or loved one with a snazzy new stationery set and a wax seal featuring their monogram. They will be so excited to put their own personal stamp on every piece of correspondence they send. 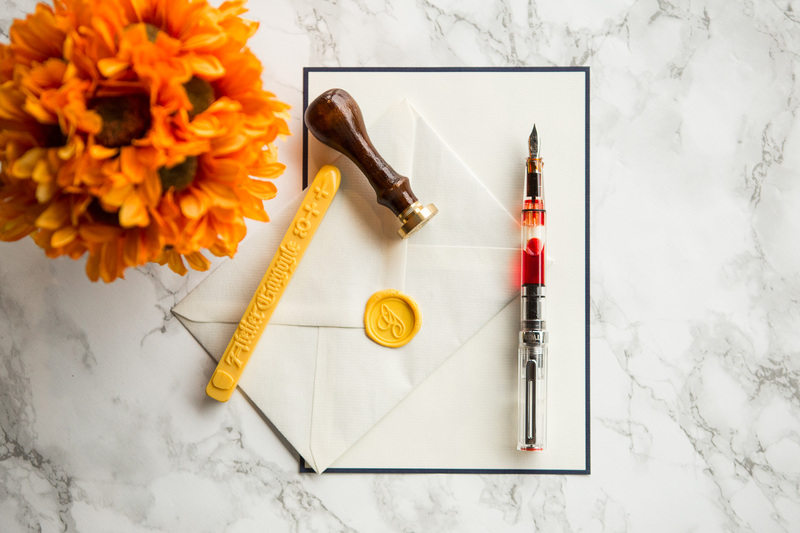 You can show them our blog on creating the perfect wax seal to learn how to create the perfect seal and set them off writing letters with excitement. 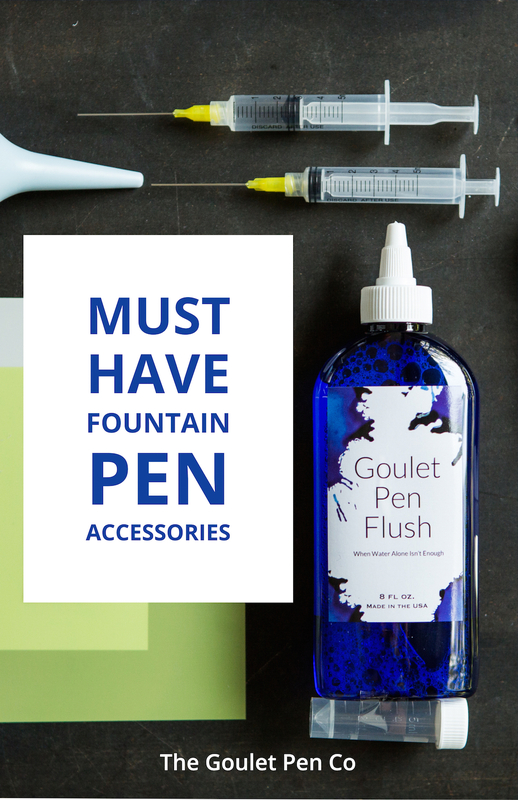 Add a fountain pen to the mix for a complete and ready to go writing gift! A picture is worth a thousand words, collect your priceless memories all in one notebook. 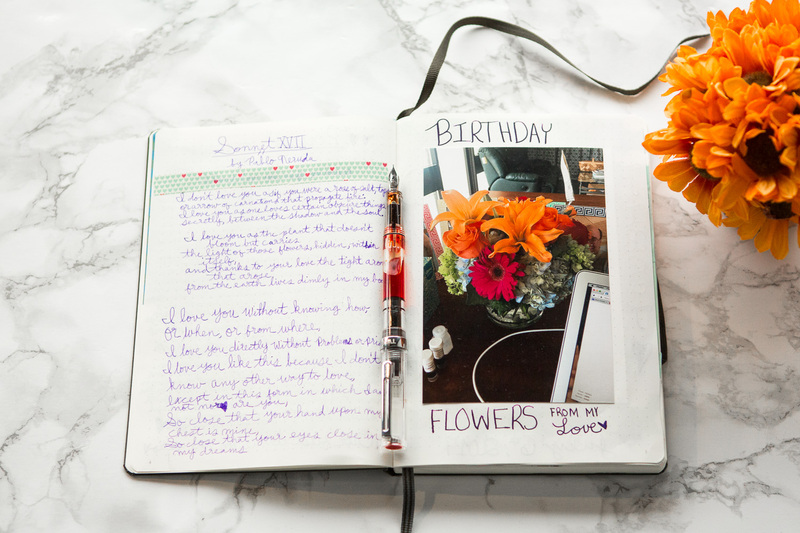 The Leuchtturm1917 Medium A5 journals feature 249 numbered pages for you to fill with photos and short written memories that your loved one will treaure. 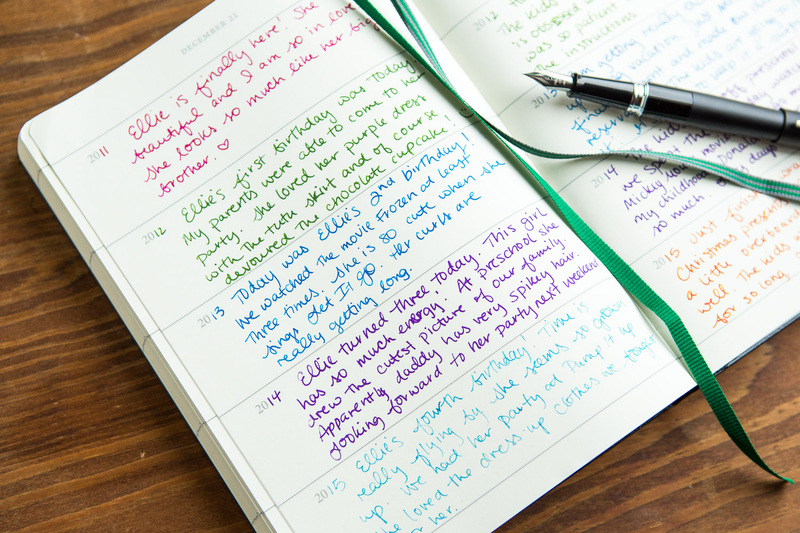 The index at the front of the notebook even makes a great place to catalog the dates or special highlights you want to mention in the book. Start by pasting in some of your favorite pictures and then you can fill in the blank spaces with poems, quotes, and song lyrics that are meaningful to you. 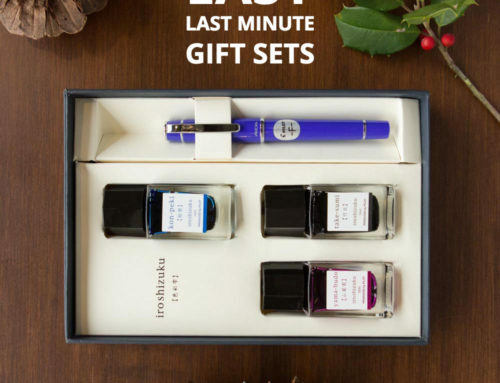 After you gift it to them, you can even continue to add onto it together. 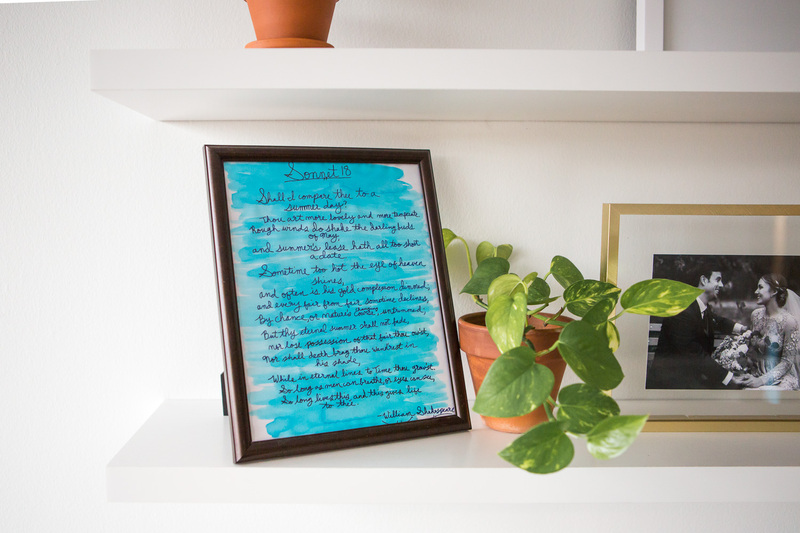 Our Goulet Notecards make the perfect colorful pages for a book of encouragement. Sometimes the best gift you can give is the simple act of encouragement that someone can look to on a tough day. 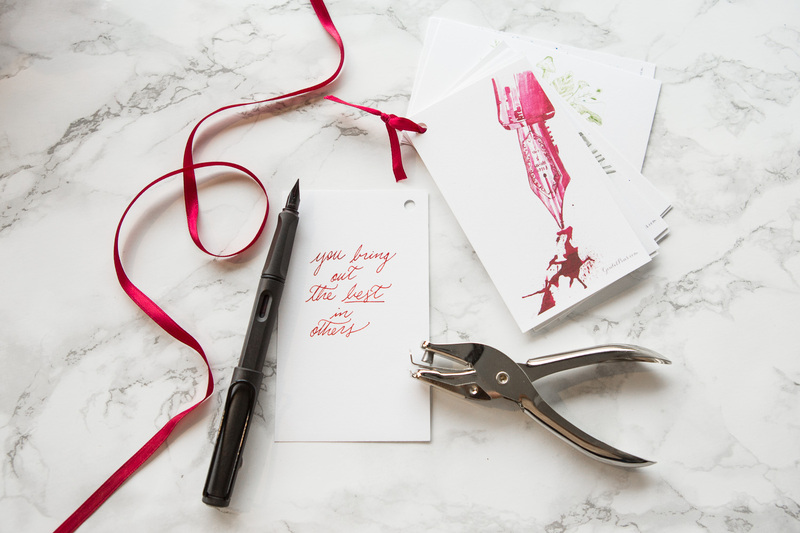 Fill these cards with words of positive affirmation and uplifting quotes, holepunch, and bind with a ribbon for a simple yet satisfying gift from the heart. 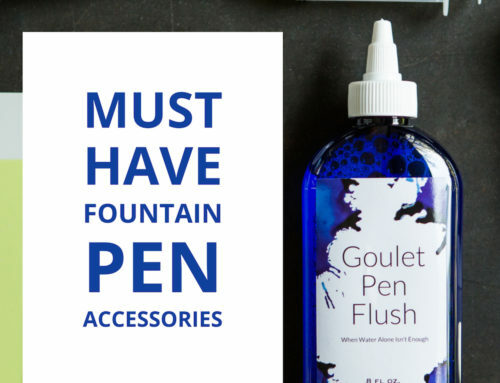 Have you ever used your fountain pen hobby as inspiration for a gift? What did you give?